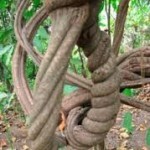 Ayahuasca Retreats in Peru. Personalized Healing. Visit us at our center in the Peruvian Jungle. La Vida Sagrada is a small, humble organization devoted to physical, emotional, mental, and spiritual healing and growth through the use ayahuasca, other medicinal plants, integrative and alternative healing practices, and spirituality. We currently specialize in small, intimate ayahuasca retreats, long-term healing programs, privately-arranged personalized healing work, and remote healing from Peru. Although much of our healing work is through the use of ayahuasca, we also provide healing services through our other modalities to those unable or not wanting to use ayahuasca. We are dedicated to serving all those who are seeking healing. If you are unable to contribute the financial cost of one of our programs, please consider informing us of your economic hardship, and we will see what we can do to make our services available to you. We have experience working with people seeking healing or growth in many areas--physical, psychological, emotional, and spiritual. Please take the time to write to us using our contact form to see if our service suits your needs. Donate to La Vida Sagrada Your donation will be used to help sponsor the healing of another through a subsidized healing stay or retreat. Announcing Forgotten Cure, a new alternative cancer treatment documentary featuring Robert, founder of La Vida Sagrada. 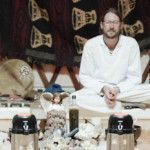 Looking for experiencing the sacred medicine of ayahuasca? We facilitate a series of ayahuasca retreats and healing programs involving the use of ayahuasca in a small, safe, and personalized environment. In our aim to serve as many people seeking healing as we can, we also provide a flexible option of choosing the dates and length of your stay. 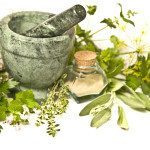 All healing modalities are discussed and tailored specifically to your healing needs. Not able to attend one of our healing retreats or programs? We provide remote healing services on a donation basis to those in need of a little spiritual assistance. 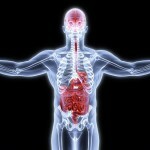 Pay Attention to Your Gut: The Gut-Mind Connection. NOTICE: Guests may exercise the option to not physically drink the ayahuasca if they so choose or are unable due to a specific health condition while still participating spiritually and energetically. Please refer to our Medical Guidelines before you register for your stay with us. 7-Day, 4-Ceremony Retreat in Tarapoto with Maestro Arnaldo! We are honored to offer a 7 DAY HEALING RETREAT led by Peruvian Maestro Arnaldo Vasquez Catashunga. We are catering to a smaller group of no more than 10 people. The retreat work will be supported by Jerome (an associate of LVS) and Silvia Tafur. Silvia will be providing interpretation throughout your jouney, providing support during ceremony and will be the director of art therapy. Use the contact form to the right of each page and the subject, "Tarapoto" to inquire or register for the retreat. · day 3: Yoga (optional) - Private Consultations with Maestro Arnaldo and Interpreter - Meditation and Rest. · day 7: Closing Circle and departure. Accomodations include food (dieta based) and lodging for 6 nights/7 days. The base cost for the retreat is $850.00 US , Flights are not included. Please follow the links to view the lodge and read some reviews from guests. Also included is transportation to and from the airport in Tarapoto, art therapy, morning yogic instruction and a scenic hike on the final day. The Rio Cumbaza wraps the property and provides an ardent grounding effect for this healing event, as well as being in the midst of the upper Amazon jungle. Throughout our upcoming seasonal work in the jungle, we are open to arranging private, personalized healing stays at our center. The dates, length, and types of medicine work are arranged according to your needs. Guests may exercise the option to not physically drink the ayahuasca if they so choose or are unable due to a specific health condition while still participating spiritually and energetically. Please refer to our Medical Guidelines before you register for your stay with us. Using the contact form to the right and "Private Healing Visit" as the subject line, you can initiate the process of arranging your stay. Cost and Advanced Deposit is determined by the length of your stay. Economic Difficulty? Please inquire about a Partially or fully sponsored Healing Visit. Sponsorship is only available for visits of 1 week or longer. Economic Difficulty? Please inquire about a Partially or fully sponsored 4-Week Healing Program. We have not yet announced any formal retreats or programs for 2016. 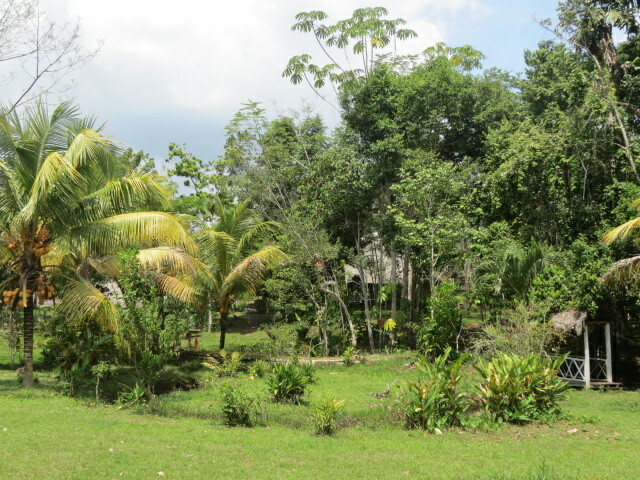 We are, however, taking reservations for private ayahuasca retreats and healing stays. We are also If you would like to arrange a private ayahuasca retreat for you and between 3-10 people, please contact us using the contact form to the right. We will announce our programs soon. Please use the contact form to the right for all inquiries, consultation or private healing (distance or local) requests, and reservations for one of our retreats and programs. We are a small organization, and intend to stay small in size, humble in expression, and compassionate in service. Our intention is founded upon the integrity of an open heart--to bring healing to all in search of it. Please have our gratitude for considering our ayahuasca retreats, programs, or other services as you begin or continue your journey with this sacred medicine. Copyright © 2019 La Vida Sagrada. Powered by WordPress. Theme: Ample by ThemeGrill.